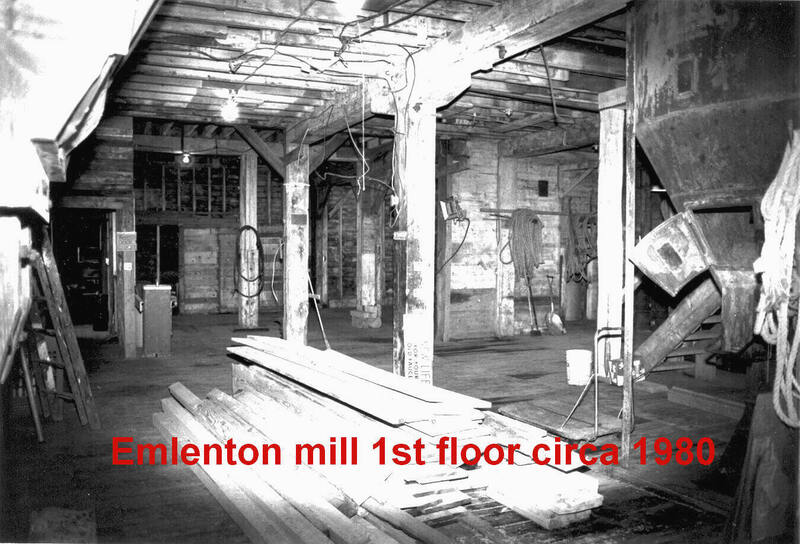 In the 1980’s Eugene “Twig” Terwilliger President (left) and William Stump Vice President (right) of the Old Emlenton Milling Company set about to renovate the Mill. It was a daunting task. 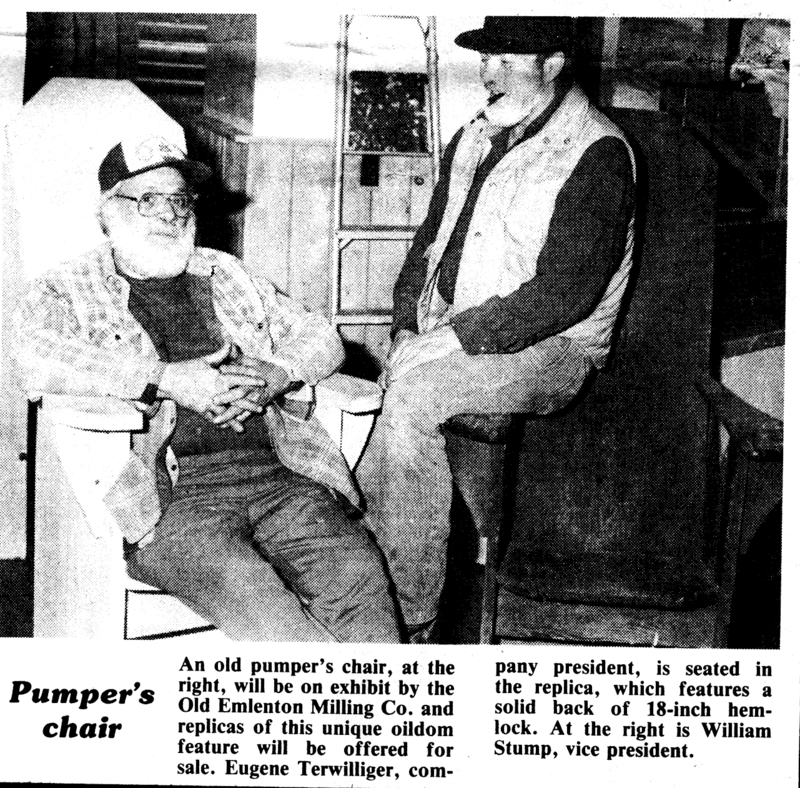 Bill Stump, from whom we purchased the Mill in 2005, told me they took fifty five dump truck loads of old grain out of the mill and just as many truckloads of old appliances Twig had saved for parts during the time he ran the hardware store out of the main street storefront. The picture of the first floor shows the view from the second street door looking to where we put the ice cream shop. The big feed mixer can bee seen on the right. Twig is sitting in an old pumpers chair.